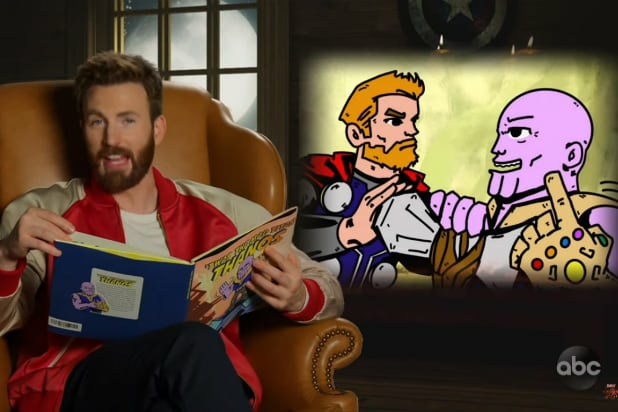 It’s a cute gag, made even funnier by the fact that everyone, except for Chris Hemsworth, blames Thor for letting Thanos win (because Thor didn’t aim for Thanos’ head in the film’s final moments). Naturally, “Thor” actor Chris Hemsworth sharply disagreed, blaming Starlord, from “Guardians of the Galaxy.” But pretty much all the other Avengers firmly blamed the god of thunder. It’s not, say, undoing the death of poor Spider-Man, but if you’re like us and re-watching the entire Marvel Cinematic Universe in preparation for “Avengers: Endgame,” it makes Thanos murdering half the universe sting a little less. Anyway, you should watch the whole thing, especially if you like seeing Mark Ruffalo say “f— Thor,” several times.